Here’s an infographic created by Utica College that illustrates 10 points that you may not know about physical therapy. If you’re a PT then you already know most of this information but if you’re just learning about the field, perhaps it will be informative. It may also be useful if you’re considering a career as a physical therapist. 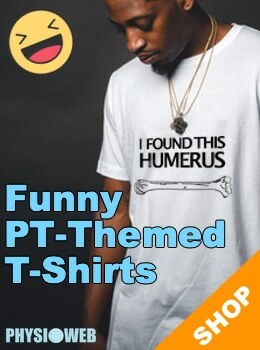 For more on that topic please see this article: Becoming a Physical Therapist. 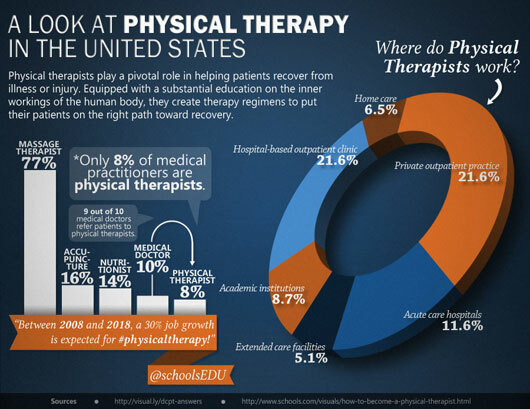 While this infographic is focused more on physical therapy in the United States, the data is likely applicable to many other countries. I would be interesting to find the same type of data for other countries. If you’ve seen data like this, feel free to drop us a line. You may also be interested in: How to become a physical therapist (infographic). can i pursue physical therapy online? Does it cause any harm, if Ultrasound physiotherapy on affected point is not taken for minimum seven days in a row?